"Thankyou Post -to all the readers" for liking my creations. 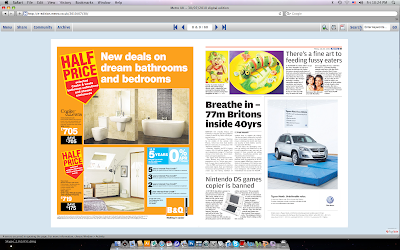 UK's renowned newspaper - Metro . surely a landmark for Little Food Junction . interviewing me & featuring me on their esteemed newspaper . Congratulations. You got a way to go. And I too love your work. Congrats dear ....We are so proud of you. Keep it up. And do grab an award from my blog today. wow!!! i told na u r an awesome mom and wife and this is a big example that shows!! CONGRATS DEAR!!! Great going .... so nice to c u making news !!! The mangoes are lovely too . Congratulations you deserve this recognition.Your recipes are very inspiring and colourful.You have avery creative talent. Congrats for the well deserved treat. Best wishes. Congrats dear, great going, keep it up. hope you reach greater heights! Hi Smita congrats and kudos to u for being featured in the U.K Newspaper.You truly deserve it and wish u more such successes in the near future. Congrats smita... wish u get many more like this. Congrats dear!!!!! All the very best. Great !! Congratulations !! You are rocking !! Wish u many many more success dear !! congrats dear ...wish u many more success ..
Love it.. congrats from Kuala Lumpur. Keep it up friend..
Smita...... u ROCK girl.... WAY TO GO!!!!!! This is awesome:) Congratulations Smita! WTG!! Congrats Smita ..... Great to c u on the newspaper here ... so happy for you !!! 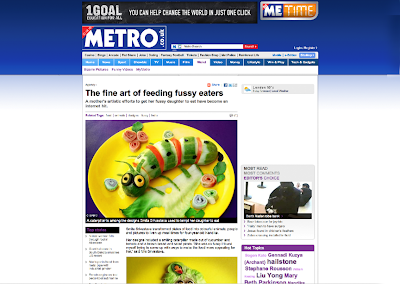 Congratulations for the well deserved achievement ....you are so creative with food presentation. Thank you for joining Mama's Little Nestwork. Please add the Mama's Little Nestwork button to your mainpage to complete the join up. Come and visit and comment often on featured bloggers and I will choose my features each week from those who comment the most. It is all about bloglove! Come visit Mama's Little Chick also when you get a chance! Have a great day! I am adding your blog right now! Thank you for joining in! Come visit my blog too when you get a chance at Mama's Little Chick! :) Have a great day! I'm here from Mama's Nestwork! Congrats on your successes---I've got a picky eater on my hands so I'll be looking for some inspiration! Smita, you do lovely work! 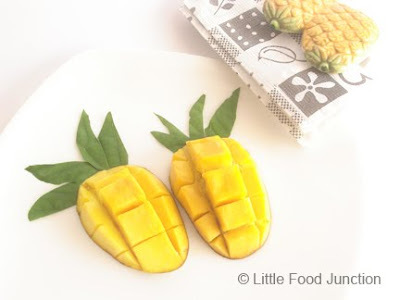 I love the Mango Pineapple, such a cute idea! I'm visiting from Mama's Nestwork and your newest follower! Thanks for ur wishes n motivation buddies !!! please get back to me on rachita.c@clc.net.in with your email i.d my comments are not reaching you.